Sharp and sweet. 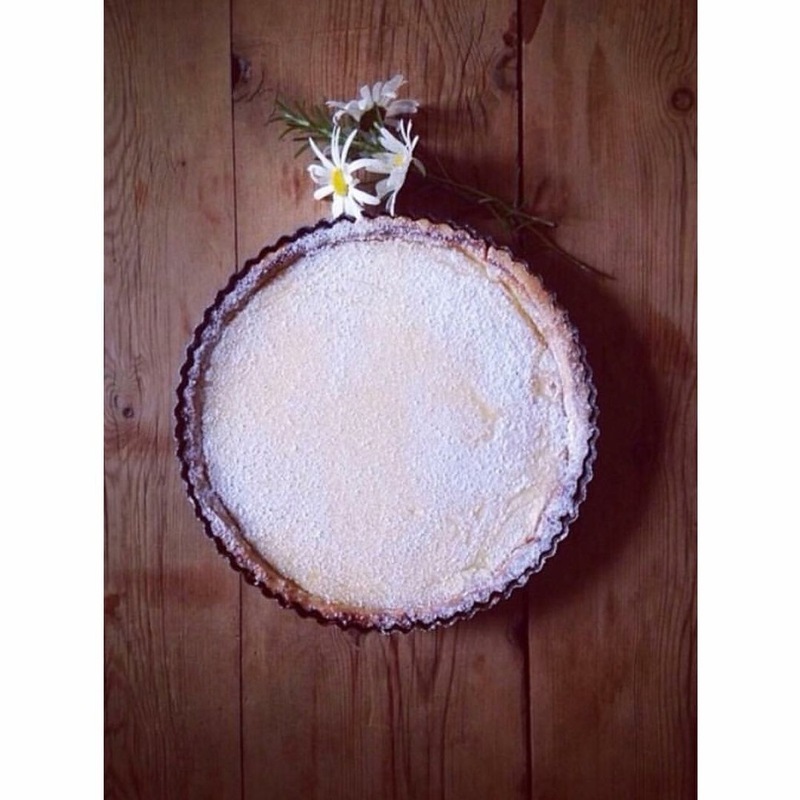 I love lemon tart, the biscuity texture of pastry irresistible against the sharp bite of its lemony, creamy centre. I like to serve it with a dollop of clotted cream or creme fraiche. Ceramic baking beans. Parchment paper. You will also need a fluted tin with a loose base 9 inches in diameter and 1½ inches, lined with baking parchment. Or individual fluted tins as shown in my photograph. The food processor is a fantastic way of making the pasty. To do this add all the pastry ingredients (except the egg white) to the bowl with 1 tablespoon water and process until it forms a firm dough. Then turn it out and knead lightly before leaving it covered in the fridge for 20 minutes to rest. To cook the pastry base, pre-heat the oven to gas mark 6, 200'C and place a solid baking sheet inside to preheat as well. Now roll out the pastry as thinly as possible and carefully line the tin, pressing the pastry around the base and sides so that it comes about ¼ inch above the edge of the tin. Then prick the base with a fork and brush it all over with the reserved egg white. Chill for 10 minutes. Line pastry base with parchment and fill with ceramic beans to bake the pastry 'blind'. Bake on the baking sheet on the middle shelf for 20 minutes, then carefully remove ceramic beans and bake for a further 5 minutes and remove from oven. Turn the temperature down to gas mark 4, 180°C. To make the filling, grate the zest from 6 of the lemons, and squeeze enough juice to give 10 fl oz. Now break the eggs into a bowl, add the sugar and whisk to combine. Next add the lemon juice and zest followed by the cream, and whisk lightly. Now pour it all into a 2 pint jug. The easiest way to fill the tart is to place the pastry case on the baking sheet in the oven, and then pour the filling straight into the pastry. Bake for about 20-30 minutes or until the tart is set and feels springy in the centre If it start to colour place a piece of parchment loosely over the top. Let it cool for about half an hour. It is delicious served slightly warm. Decorate with a dusting of icing sugar and a dollop of clotted cream and garden finds such as edible flowers or herbs like mint. Saffron Milk Punch at the Inn.